Today, in the present stage of development, everyone has received an awakening, an “invitation,” a call, a push, an opportunity for correction and for participation in the process. 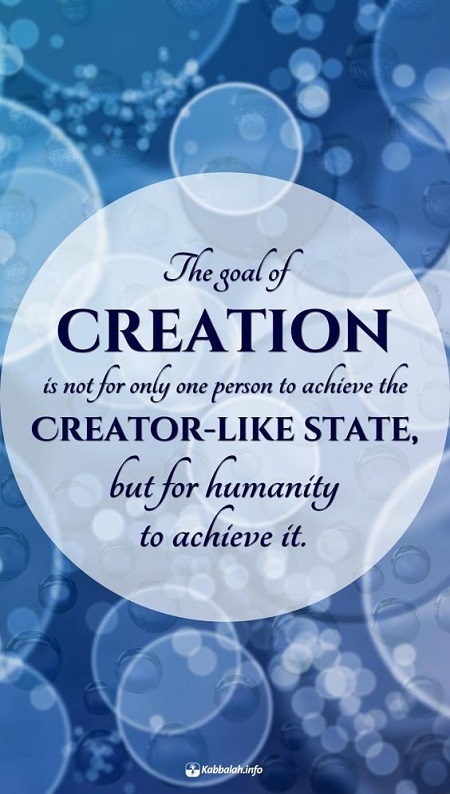 We must learn how to use the unified system and its laws to bring ourselves to the first state of wholeness: the goal of creation. That is what we must attain. The present stage of historical development is characterized by everyone beginning to feel more or less, that we are living in a unique time and that humanity must pass through major changes. Beginning with us and moving outward, we become active parts that can even activate the system. The live online course begins on Thursday, April 20th 2017 at 8pm ET. No prior knowledge of Kabbalah is needed. DISCOVER a deeper understanding of Nature, the world and who you really are. OBTAIN tools that can help you develop a new approach to life and GAIN a unique perspective that will help you make sense of events in the world today.